Many films are being released in this current period.. almost every movie releasing in different languages,however in several languages, each film can download the movie to view all languages, so it is waste of time and data, More languages will be offered to only a single film. 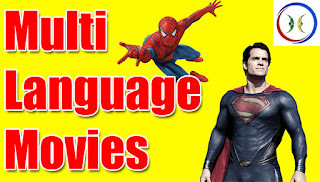 That is the same for video, audio courage.that's mean you should download the movie at once but in that move you have more than one language. Let us see how a film like this. please watch this video.I think this video will be useful for ever and further any more doubts please feel free to ask me. I am always there to clarify your doubts and help and support.